FT. COLLINS, CO. — New Belgium Brewing and Outside magazine today announced the results of its tremendously successful Mighty Arrow campaign focused on doggie love. In addition to raising $10,000 for local canine-related non-profit organizations, the social media partnership raised the bar for future Facebook campaigns. 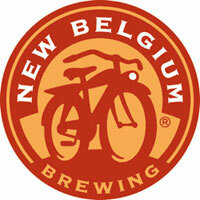 The collaboration was in honor of Mighty Arrow, New Belgium’s spring seasonal named after Arrow, New Belgium CEO Kim Jordan’s collie who “ran the brewery” for years. This progressive Facebook partnership between a media outlet and an organization offered a unique social media experience for friends, fans and followers of the brewery and magazine. During the campaign, people were asked to submit favorite videos and pictures of their furry pals and weekly winners received either recycled Frisbees, dog collars made from recycled tire tubes or a year subscription to Outside magazine. The $10,000 raised will be split equally among the Humane Society of Larimer County in Ft. Collins, CO, where New Belgium is based, and Assistance Dog of the West in Outside magazine’s hometown of Santa Fe, NM.